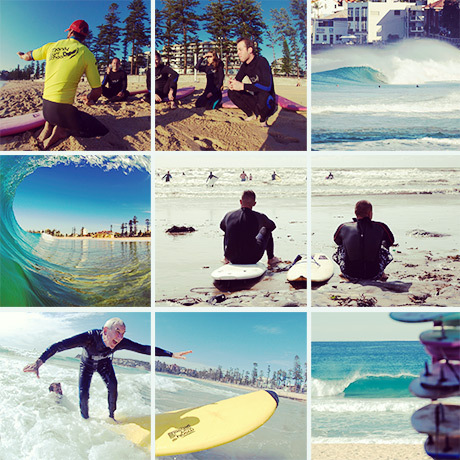 Since 1996 Manly Surf School and Sydney Surf School have been conducting surfing events/classes for corporations. Whether it is a small, medium or large group we focus on fun, fitness, surf skills, team morale building and then we party afterwards! Offering lessons on surfboard riding, body boarding, body surfing, volleyball, beach cricket and beach football, we can and have accommodated huge groups. From a group of 10 people with Blackmores to as large as 250 people for Sun Microsystems, we are ready when you are! We have trained over 120 companies so far, such as Lend Lease, Cuscal, CBA, NAB, Price Waterhouse Coopers, Volcom, Riverdance, Quiksilver, Rip Curl, Burton, Billabong, KMPG, AHP Accounting, the Wallabies and NSW Waratahs.